I love this author. I have no idea where she is going when I pick up a book and that is the best part. I love that she brings in minor characters from a previous book and tells us their story. No Easy Target is full of action, real evil, determination, and love. Margaret, our main protagonist, has an amazing ability to communicate with animals. The book opens with Margaret in a tiger’s cage trying to convince the tiger to accept it’s cub. I highly recommend any of Ms. Johansen’s books. Hope you enjoy it as much as I did. I love this author. I have no idea where she is going when I pick up a book and that is the best part. I love that she brings in minor characters from a previous book and tells us their story. 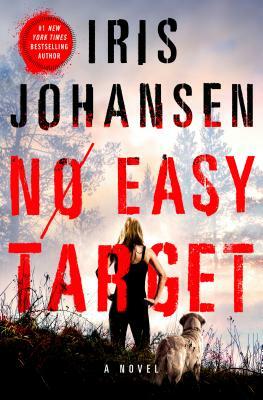 No Easy Target is full of action, real evil, determination and love. Margaret, our main protagonist, has an amazing ability to communicate with animals. The book opens with Margaret in a tiger’s cage trying to convince the tiger to accept it’s cub. I highly recommend any of Ms. Johansen’s books. Hope you enjoy it as much as I did. When John Lassiter breaks into Margaret’s apartment, she vanishes again, but Lassiter has good reason to be persistent. As a CIA operative, he owes his life to his men , one of whom is being held captive by an unrelenting enemy—an enemy who has set his sights on Margaret. Which means that Lassiter must control her to use her as bait.